Combining brushed aluminum on the front and warm stained wood on the sides, the 1-1/2” Ramino frame strikes the perfect balance between industrial and traditional design elements. 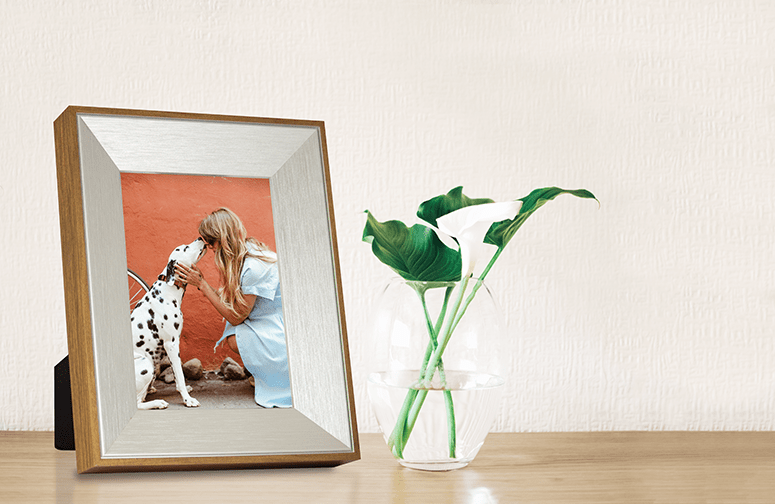 This frame fits any 5 x 7 photo and can be displayed vertically or horizontally. - Overall Size: (W x H x D): 8-3/8” x 10-3/8” x 1-3/8"